Description : Battlecry: Set a hero's remaining Health to 15. 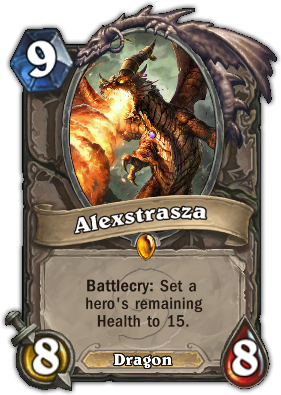 Quote : Alexstrasza the Life-Binder brings life and hope to everyone. Except Deathwing. And Malygos. And Nekros.